Queen duvet cover (88" x 88") featuring the image "Dove Holes - Dovedale" by Rod Johnson. Our soft microfiber duvet covers are hand sewn and include a hidden zipper for easy washing and assembly. Your selected image is printed on the top surface with a soft white surface underneath. All duvet covers are machine washable with cold water and a mild detergent. 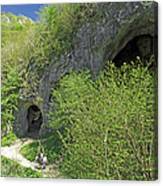 There are no comments for Dove Holes - Dovedale. Click here to post the first comment. 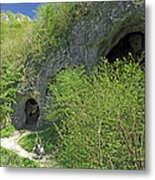 Dove Holes in Dovedale, Derbyshire, England. 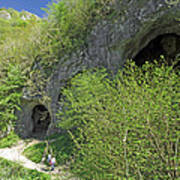 Two huge caves known as Dove Holes, in the limestone rock on the Derbyshire side of the valley. 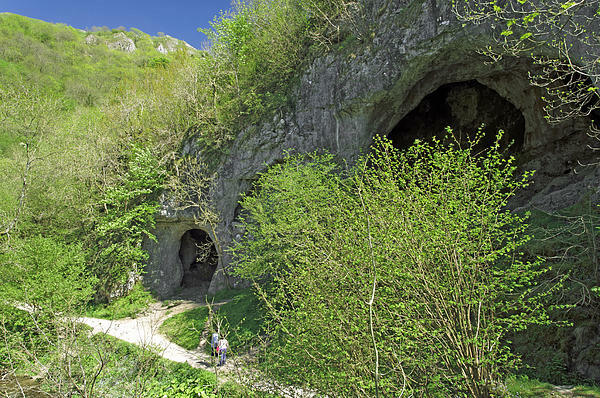 These caves were formed during the two ice ages and there has been evidence of human activity in them, dating back to 13,000 BC.